Are Houseplants The New Performance Enhancers? When we think of health supplements, we immediately imagine little round pills that we swig down with water and more often than not forget to take. However, what if I told you that you can have the ultimate supplement, without risk of forgetting to take it, it moonlights as house decor, and you only have to water it every so often? 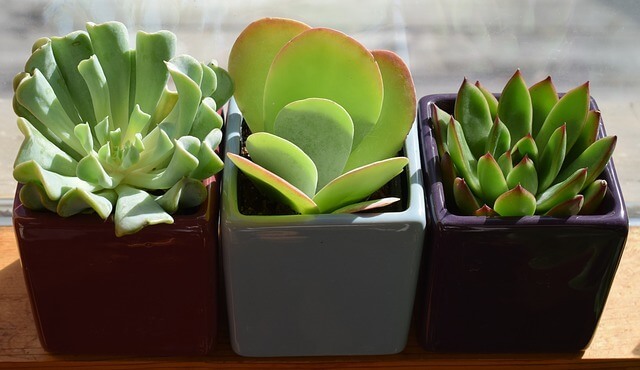 Yes, I'm talking about your Jade plant, or your cute Aloe plant that stands on your window-sill, and of course those tiny little succulents you display all over your home with tiny little pots. So cute! What you probably didn't know is that these plants are also keeping you healthy. So healthy, in fact, NASA studied them back in the 1980s to see if they could place them in spaceships for astronauts to have clean air. Indoor plants offer more to your home than green accents, they offer cleaner air, boost workplace productivity, make us happier, overall healthier, and help us heal faster. If we could put their benefits into a pill, they'd be the next super supplement, selling for billions of dollars, taking up space on all our kitchen counters where we inevitably forget to to take them 3-5 days per week. Plants have demonstrated to be some of the best air filters around. They've been shown to improve indoor air quality by filtering out contaminants such as formaldehyde, benzene, trichlorethylene, xylene, and ammonia to mention a few. Many of these chemicals have been shown to be carcinogenic, and linked to health effects like headaches and eye irritation. Our common houseplants have also been shown to improve workplace productivity, goodbye coffee (just kidding)! A study by the University of Exeter found that adding green plants to work places increase concentration and alter productivity. But not only does it increase productivity, they also improve concentration levels, increased satisfaction and happier employees! If improving your air quality and concentration levels isn't enough, how about the fact that plants can help you recover quicker from surgery? Sound too good to be true? It's not. While you may have brought plants to your loved one's recovery rooms for added decoration to those sterile environments, you were actually doing something else. It's been shown that indoor plants in hospital rooms enhanced health outcomes of patients recovering from surgery. You can be thanked for their quick recovery. Stressed out? Having plants in your home or office might be the remedy you've been looking for. It's been shown that plants have the power to improve outlook and decrease one's stress. Another study which took place in a hospital found that patient's with plants in their rooms had decreased levels of stress and better outlooks than those that didn't have plants in their room. Houseplants are an easy way to increase your health, happiness, and well-being. If you're not ready for the gym, or can't let go of your double cheeseburgers at this point in time, why not get a plant? It's an easy way to ease yourself into a healthy lifestyle, and they just might make you more productive and rich while you're at it.